September is best kept secret among locals to visit England’s most south-westerly counties, Devon and Cornwall. 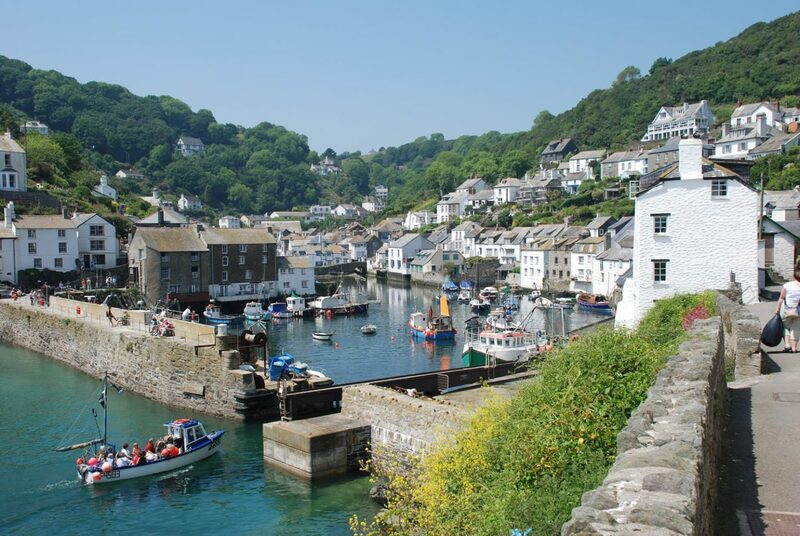 Join In Event Tours for an off-the-beaten path tour of the remote fishing villages of Devon and Cornwall peppered with a wild and dramatic coastline that harbors scores of stunning beaches and a long history of shipwrecks and piracy. Inland, verdant rolling hills, meandering rivers and thickly wooded valleys, hiding clusters of quaint thatched villages open up onto craggy rugged moorland with expansive plateaux and big skies. This stunning natural beauty combined with an exotic history has made it a favorite location for TV and film makers, with Devon and Cornwall providing the backdrop to such productions as Warhorse, Pirates of the Caribbean, Poldark and Doc Martin. The home of cream teas and scones, Devon and Cornwall offer some of the finest local produce with local staples ranging from lamb, venison, pheasant, pork and seafood. Local farmers’ markets are full of artisan producers selling delicious cider, apple juice, cheese, ice cream and of course, the eponymous Cornish Pasty. Between them, boast nine Michelin-starred restaurants.